New brand positioning | GirlGuiding New Zealand - You be the guide! 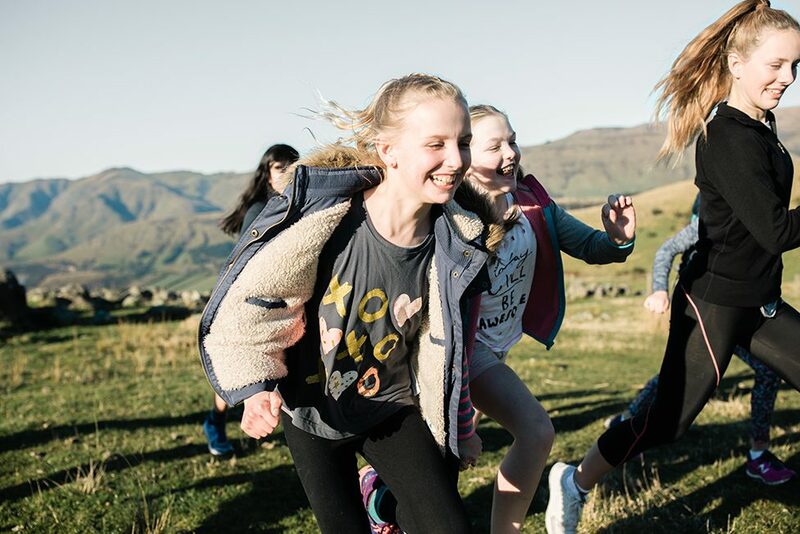 GirlGuiding NZ has announced its new You Be the Guide brand positioning to support its vision that all girls and young women are valued, inspired and empowered to take action to change their world at its National Forum in Auckland today. CEO, Susan Coleman also reaffirmed GirlGuiding NZ’s commitment to its future strategy which augments its position as the leading organisation for girls and young women in New Zealand and aims to grow its membership and maintain a sustainable organisation. “GirlGuiding NZ is evolving to remain relevant to today’s girls and young women, while also really focusing on our core purpose to empower girls and young women. Our challenge is that we are well-known for our camps and biscuits, but we offer so much more than that. We enable girls and young women to develop into confident, adventurous and empowered leaders in their communities,” said Ms Coleman. “Our new brand positioning is empowering. GirlGuiding is a place where you can be the guide of your life. You can help guide the lives of those around you. You can make decisions that help shape who you are and the future you are moving into,” said Ms Coleman. GirlGuiding New Zealand wants to allow its members and volunteers to focus more on its core purpose and programmes. Following careful consideration and analysis, the GirlGuiding New Zealand Board has decided to stop fundraising through the sale of Guide biscuits by its membership. “We would like to acknowledge and thank The Griffin’s Food Company for its longstanding partnership with GirlGuiding New Zealand. We would also like to extend our thanks to our members and volunteers for their support selling biscuits over the years, as well as all the people who have purchased our product,” said Ms Coleman. “It has been an honour and a privilege to have manufactured the iconic Guide Biscuits for more than 60 years, and we are proud to have been a partner in this important fundraising initiative. Griffin’s will endeavour to support GirlGuiding New Zealand in the future, and we wish them every success.” said Brett Henshaw, Managing Director at The Griffin’s Food Company. GirlGuiding New Zealand has been actively empowering and advocating for girls and young women for more than 100 years. Its leadership programmes incorporate fun, outdoor and adventurous experiences focussed on girls as go-getters, innovators, risk-takers and leaders. Ms Coleman says GirlGuiding is the best all-round activity and community for girls and young women to be involved in. GirlGuiding NZ is a strong and vibrant movement to be part of, offering a range of experiential opportunities for young girls and women, including leadership programmes and advocacy opportunities on issues that affect girls and young women. Guide biscuits are expected to remain available for sale until early 2019 and will continue to be manufactured during 2018. Guide biscuits also remain available online at www.guidebiscuits.org.nz.